Place the pastry in a tin (approx. 28 cm in diameter) along with the baking paper, prick firmly. Mix the cheese with the flour. Add the single cream, milk, eggs and garlic, season. Spread the filling over the pastry base. Press the tomatoes (cut side up) into the filling. Approx. 35 mins. on the bottom shelf of an oven preheated to 220°C. 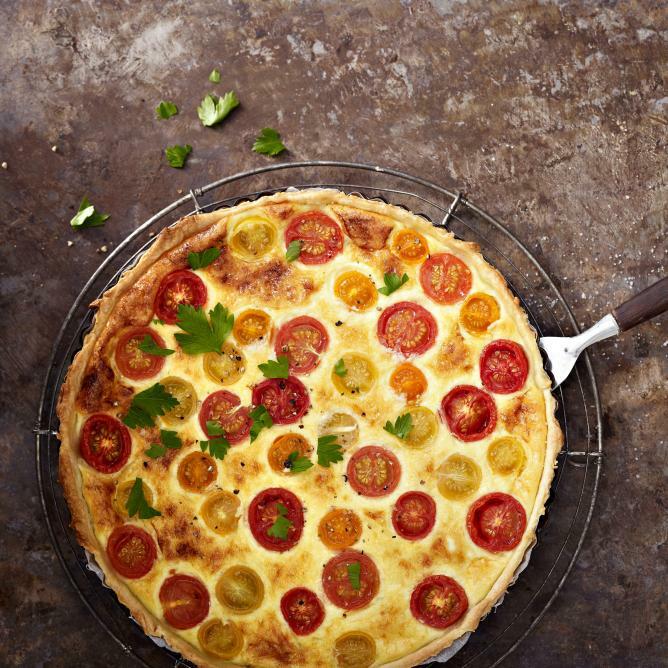 Remove the flan from the oven, sprinkle the tomatoes with a little fleur de sel and parsley.